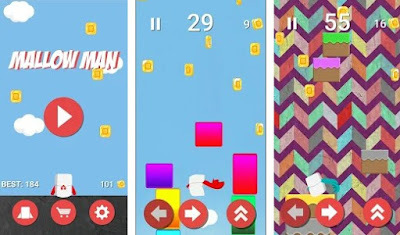 Our Arcade Game of the Week is a fun and addictive Android game called Mallow Man. It’s an endless jump arcade that will hook you up, leaving you to wonder where the time went! Play it anywhere, anytime, it will definitely provide you with hours of entertainment. Plus, it is suitable for users of any age. Let’s see how the game is played!